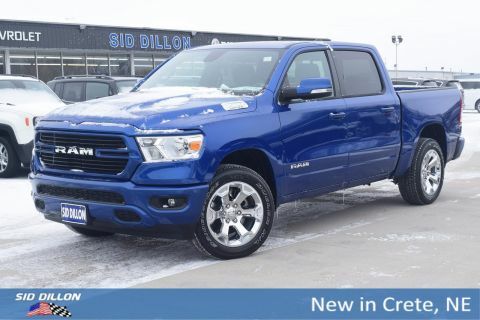 Scores 21 Highway MPG and 15 City MPG! 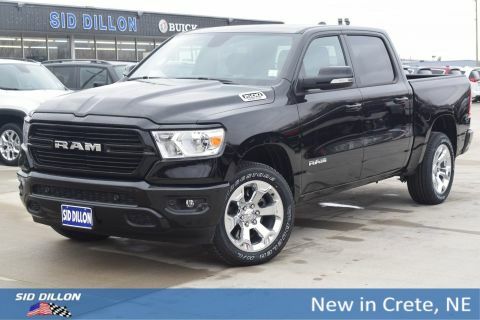 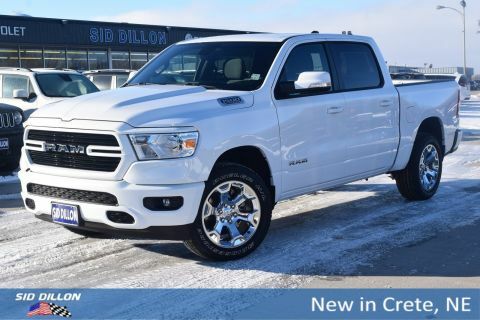 This Ram 1500 has a dependable Regular Unleaded V-8 5.7 L/345 engine powering this Automatic transmission. 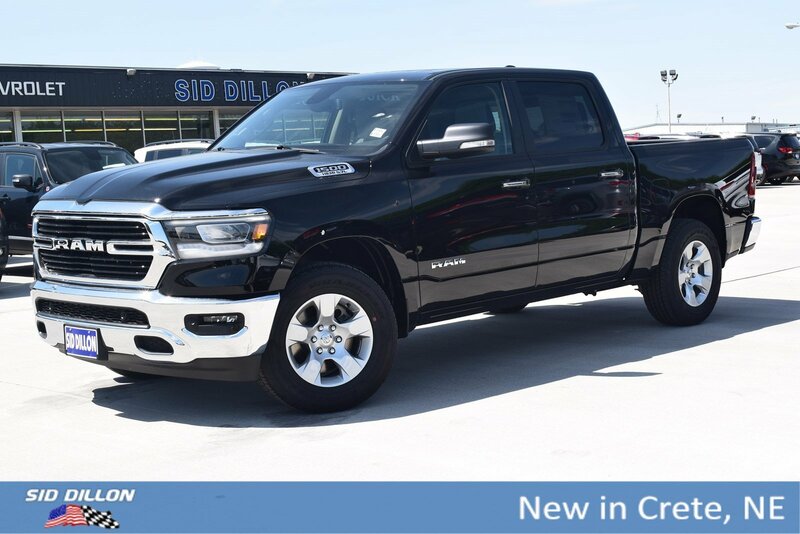 QUICK ORDER PACKAGE 25Z BIG HORN/LONE STAR -inc: 5.7L V8 HEMI MDS VVT engine, 8-speed automatic transmission (8HP75), steering wheel mounted audio controls , UCONNECT 4 W/8.4 DISPLAY, TRAILER BRAKE CONTROL, SINGLE DISC REMOTE CD PLAYER, REMOTE START SYSTEM, PREMIUM LIGHTING GROUP -inc: LED Taillamps, LED Fog Lamps, LED Reflector Headlamps, PARKSENSE FRONT/REAR PARK ASSIST W/STOP, DIESEL GRAY/BLACK, CLOTH BENCH SEAT, DIAMOND BLACK CRYSTAL PEARLCOAT, BLIND SPOT & CROSS PATH DETECTION.